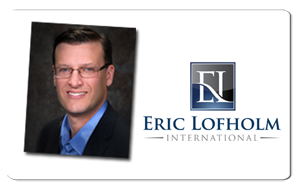 Overcome your sales barriers, make more money with better skills, and get in the door for your next sales opportunity with Eric Lofholm’s top tier sales training programs. Whether you’re an entrepreneur just getting started building your empire, a top CEO with a multi-million dollar domain, or even a professional sales person, Eric and his team will help you achieve your sales goals, and develop the habits of a top performing salesperson. His programs have a beautiful combination of sales training and transformational coaching that will allow you to take your income to the next level. Are you ready to improve your productivity by up to 25% more? Penny Zenker, founder of Smart Moves Coaching, knows that improving your productivity can double your sales revenues, re-balance your life, and give you back control of your time! Imagine what would be different in your life and business when you learn the language of productivity, and consistently create a championship psychology, winning strategies with new, sustainable results! Bill Stierle, founder of Corporate Culture Development, is the creator and leader in the integration of Emotional Intelligence & Thinking Styles Technology and trainings. Bill’s unique and extensive knowledge for developing and implementing successful corporate trainings & executive development programs allow his clients to profit from increased professional productivity, organizational performance and individual effectiveness. 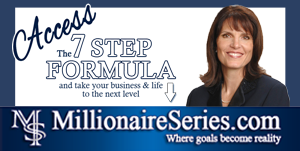 Annette Bau is a performance coach, author, and wealth and success expert who has helped tens of thousands of individuals create the business & life of their dreams. Her training programs for financial advisors and women include marketing to the affluent, sales strategies, lead generation, marketing and working with affluent women and referral marketing, and are designed to generate more clients, better clients and to increase your bottom line. NOTE: As always, all individuals are strongly encouraged to do their own due diligence. Please consult any team, legal or other professional advisor as needed before making any decisions, or for guidance about any specific issues.